A wonderful exhibition. Not too big not too small. Few people. Some students attempting to draw (ha!) FA pictures. The trick with Auerbach is to stand far away from a picture: this will allow you to see the subject. Then move in. The pictures resolve themselves into abstraction. You might want to say dissolve, but there is a feeling that as you close in on the surface of the canvas you begin to approach the act of painting itself. The celebrated impasto technique (the paint laid on as though it was a solid rather than a liquid) makes some of these pictures more or less three-dimensional. But what wonderful, wonderful results. The overwhelming effect of his technique - not just impasto, but what I can only describe as 'scribble' - marks all over the place - is of intense liveliness. 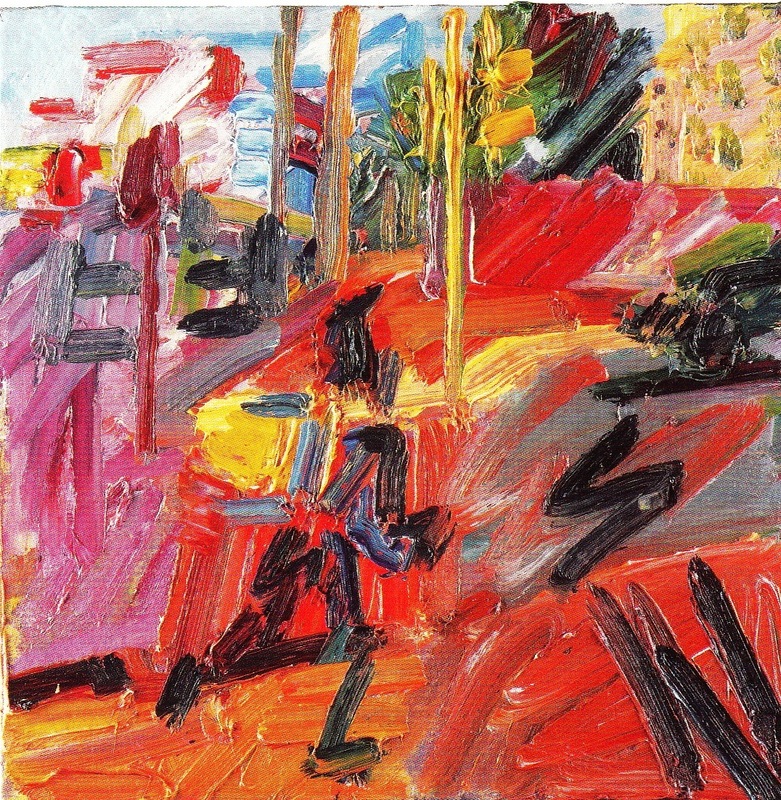 And again, it isn't just impasto and scribble but also colour: the city - well, Mornington Crescent, Camden Town, Primrose Hill - is evoked by a promiscuous use of colours that somehow do not interfere with one another, or if they do, they do well. Then again, he has a faultless sense of composition. I suppose these are old fashioned pictures in a way. They are beautiful, proportioned, full of life. Do go, if you can.